On our first visit through Slovenia we knew nothing of gravel road bicycle touring and barely left the main roads at all. Our trip took us, like most people who come here, from Maribor to Ceilje to Ljubljana to Postonje and then south to Croatia. 5 days and out. Barely enough time to notice what a bicycle touring paradise Slovenia actually is. This year, determined to see every inch of Slovenia’s cycling goodness, we have left the main roads behind whenever we can and found gravel roads aplenty. In many parts of Slovenia, the regional and local roads running through mountainous areas will become gravel at some point. We have found several which are almost entirely gravel from start to finish. Combining these roads with marked mountain routes, like the Pohorje Tranzversal Trail, we have been able to map a multi-day gravel road route across a large swath of Slovenia, only occasionally hitting asphalt sections when coming into a population center. 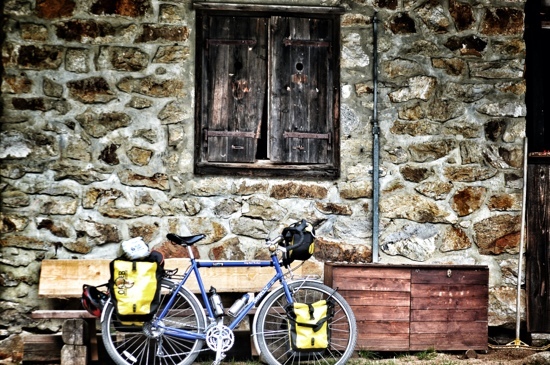 What’s so great about gravel road bicycle touring? 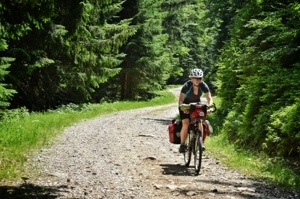 Gravel road bicycle touring provides a variety of benefits over cycling on asphalt roads. 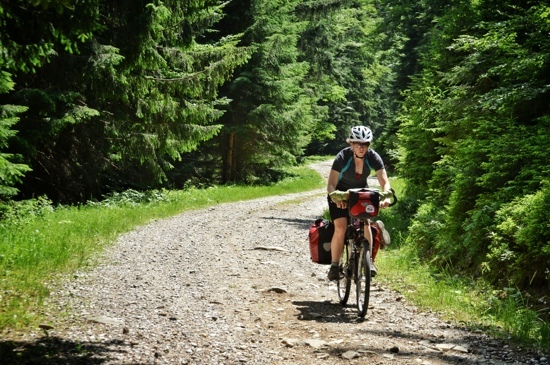 Climbing up yet another hill on Slovenia’s almost endless network of gravel roads. Less auto traffic on these roads, means a more peaceful experience. We love the solitude of biking on quiet gravel roads. Sometimes the only sounds are the crunch of gravel under our tires and the birds singing in the treetops. The pace of biking on gravel roads is much more mellow. Most days we average about 10km per hour. And since there is little to no auto traffic. We can stop for a picnic lunch at almost any point along the way. Sure, it takes a little longer to cover the same distance as on asphalt, but the peacefulness is so worth it. Gravel roads are more rugged. A challenging route, even over modest terrain, is often even more challenging with a little gravel thrown in…we like challenge. It makes us feel tough. It does require some different equipment than cycling on paved roads. No carbon frames or paper thin 23c tires here. We’re both running steel framed touring bikes with 45c Schwalbe Marathons at a spongy 55psi to soak up the bumps and ruts and provide a little more traction in the rough stuff. As I said earlier, in the mountains of Slovenia many of the main roads become gravel. These roads, mainly used by locals accessing their mountaintop farms, are surrounded by sweeping mountain scenery. As we approached the Alps, this has become even more evident with the vistas becoming bigger and the solitude even more pronounced. 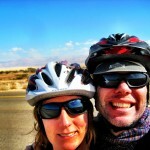 Bicycle touring on these roads brings us to places not regularly visited by tourists. Charming hilltop churches, quaint farm houses and yawning gorges have graced our travel for the past few days as we have made our way west. This is Slovenia. Ride it. 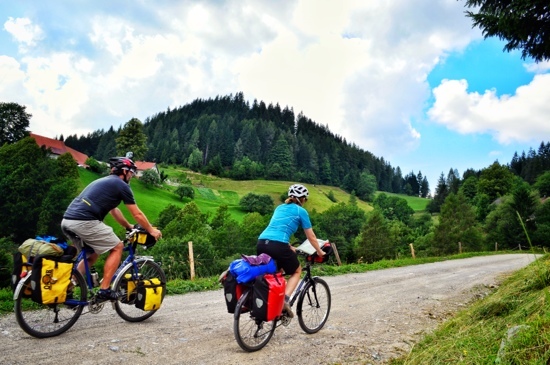 As we travel around Slovenia, gathering information about the best places to tour by bicycle, eat and sleep we are continually amazed by the natural beauty and warm hospitality of this tiny nation. 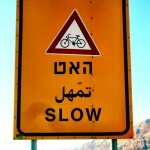 Cycling on the gravel roads through the mountains has brought us even closer to these things in every way. 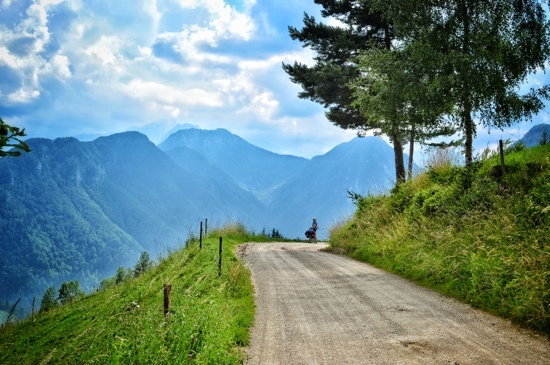 Although when we first looked at road map of Slovenia over 2 years ago, we noticed a spider web of roads covering the entire country, cycling these roads has been a surprising bonus to our adventures here. 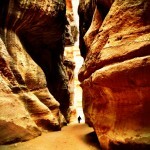 One that we had not expected, both in quality and quantity of routes. During the remaining time we have here, we plan to find even more gravel roads to connect key bicycle travel points in Slovenia. We will bring every bit of that right here to these pages and share it all with you. I’m looking forward to this guide. 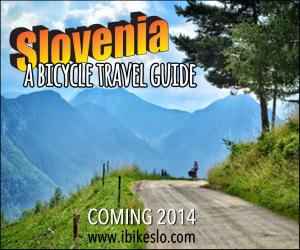 I’m considering doing some cycling in Slovenia next year. I loved it on a mountain bike, last year, and on a road bike, I’m expecting, it will be equally satisfying. We love it too! Slovenia offers more value per km cycled than almost anyplace we’ve ever been. Stay tuned and join the mailing list on ibikeslo.com to get in on all the pre-release goodies! Waypoints are of not much use since you need to have the book to find out what they mean so just click on “Prenesi sledi v GPX formatu” and all track will be on your disc in no time. Gravel roads in Slovenia are all kinds and to be prepared for worst I strongly recommend sturdy bike with suspension and wider tires. Hi Uros, Thanks for the link. Yes. We’ve seen this book, and in fact our tours follow some of the same routes. The difference being, our guide will have loads more info about culture, history, food and lodging, etc… along w/ GPS tracks.